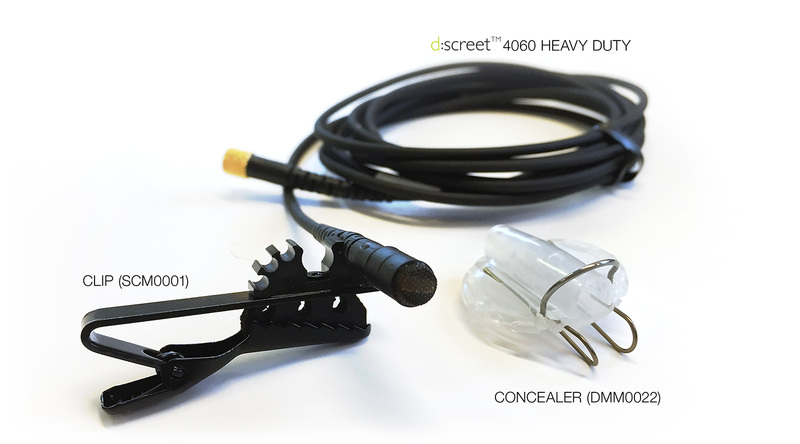 Try the full range of accessories now available for the DPA d:screet Heavy Duty range of microphones. Last year saw the release by DPA Microphones of ultra-durable versions of their classic DPA d:screet™ 4060 and 4061 mics, dubbed, “d:screet™ Heavy Duty” mics. These resilient miniature lavalier mics received a number of upgrades to bolster their durability out in the field, where extreme stress can otherwise cause failure or breakages. DPA has released updated accessories that now fit the full range of mics. Along with their comprehensive series of adapters, allowing you to connect your d:screet™ 4060 or 4061 HD mics to just about any professional wireless transmitter on the market, the DMM0022 Concealer and SCM0001 Mic Clip are both tailored to fit the microphones’ thicker cable and extra strain relief perfectly. With a full suit of accessories to go with them, there has never been a better time to give them a try in the field. Contact your local DPA dealer to arrange a demo. What makes them Heavy Duty? In these d:screet™ models, DPA’s 4060/61 capsule is housed inside a stainless steel tube to protect it from shock, knocks and crushing. The cable is beefed up to 2.2mm in diameter and kevlar-lined to stave off breaks with extra strain relief added to both sides of the cable: the capsule end AND the microdot/adapter end. 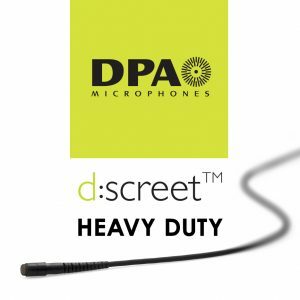 All in all, the d:screet™ Heavy Duty mics feel hard as nails, and to prove their durability, DPA released a series of videos demonstrating just that, which you can watch below.